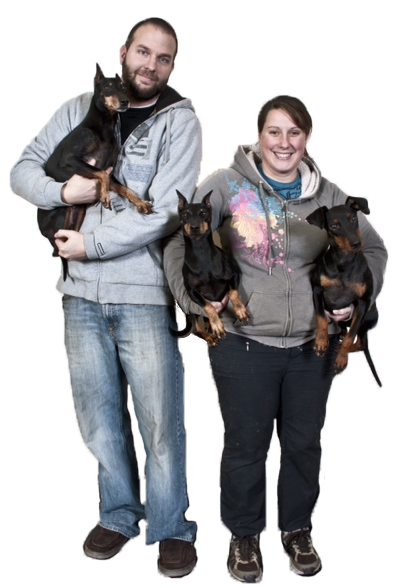 My name is Lâle (pronounced Lally) Aksu and I, with my husband Matt Hoekstra and Eddie, Star and Qiss our Manchester Terriers, own and run Time4Dogs a service oriented boarding kennel. I was born and raised in Germany where I first developed a passion for animals. My 17 years as an equestrian gave me the opportunity to school young horses, teach children to ride, and maintain a 60 horse stable. 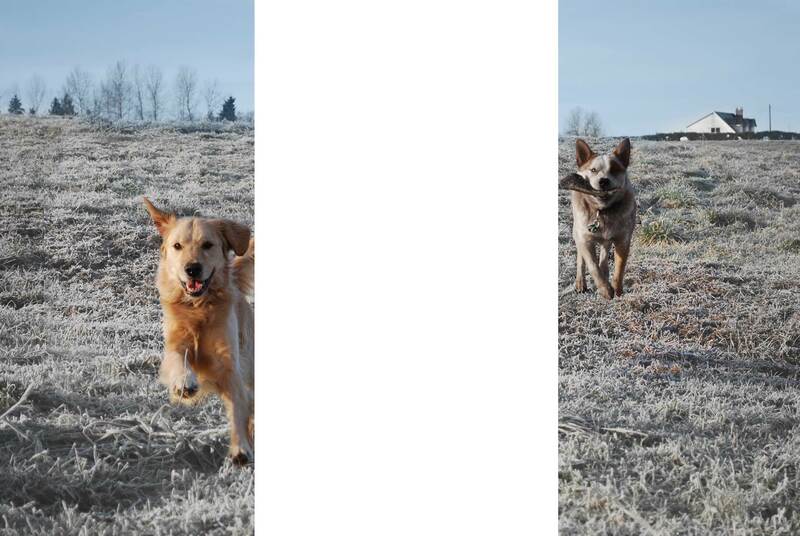 In 2004, I moved to Canada, and it is here that I became fully immersed in the dog world. My current dog, Eddie, has taught me so many things and like many terriers, he has pushed me to think outside the box to work through some of our challenges. With perseverance and Eddie’s eagerness to please, he and I have achieved many successes in Obedience, Rally, Agility and Nosework. Eddie has earned his CDX & Rally Advanced Excellent title & Nosework level 1 and has his Gold Award of Merit in Agility. I believe that all dogs can achieve successes using positive reinforcement and motivational training. In addition to Eddie, we have Star. She also is a Manchester Terrier and we adopted her after her loss of her owner (a sweet lady that is deeply missed). Star is preparing for Nosework level one and I am very excited to see how she will do! Since this summer 2013, we have now three Manchesters. Qiss is our new addition from Germany and she shows great promise for confirmation, obedience, Agility and Nosework! Her loving personality is just outstanding and I can’t wait to show her off in the world! Matt & I usually share our home with a foster dog, as there are so many dogs out there that need our help! We usually work with rescue organizations! In order to become more knowledgeable about training I have attended many dog training and behavior seminars including; Nicole Wilde, Brenda Aloff, Barb Davis, Desiree Snellman, Ron Gaunt, Booby Lyons, Chris Zink, and of course Janice Gunn (Time 4 Dogs boarding shares the property of her renowned TNT Training Center). I teach both regular canine obedience as well as CARO Rally Obedience and am Canine First Aid Certified through DOGSAFE, a CARO Rally judge, CARO professional member and CKC member. On a professional level, I have adapted a long background in the hospitality industry to bring a higher level of service to making your pets boarding stay the most enjoyable experience it can be. Matt, Eddie & I are looking forward to welcoming your pet and will do everything we can to make his or her stay safe, comfortable and truly a home away from home.